Leading Manufacturer of turret weighing system, tarpedo laddle car weighing system, ladle car weighing system, ladle car weighing, billet weighing system and steel coil weigh bridge from Chennai. Ladle turret scales are used for example in continuous casting facilities where the liquid steel is cast into continuous strands. The weighing equipment is used in the ladle turret, tundish and outgoing roller table to determine the weight and control the process. 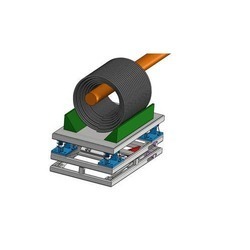 Our turret scales are very robust to withstand the large impact and shock load, our high temperature load cell are suitably designed and fit in to be turret application with wire and wireless inter connectivity. The turret bar can withstand up to 200 Degree C without any external insulation. The incredibly robust ladle turret scales are manufactured for the prevailing harsh ambient conditions. They are not affected by shock, interfering forces or huge fluctuations in temperature. 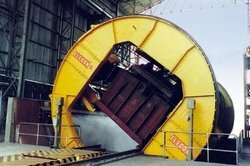 Ladle Car Weighing System:We ADITYA designed and developed ready to deploy a MOBI RAIL based weighing system to weigh the Hot metal ladle car capacity up to 400 tons. The MOBI RAILis designed to withstand high harsh environment without scarifying the accuracy of weighing, which can be fitted in the existing rail without any civil and structural modifications. 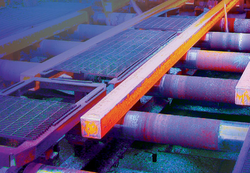 Our MOBI RAIL is suitable for tough environmental conditions.The Mobil rail facilitates and accommodates various types of ladle car configuration to weigh in static and dynamic mode.Our MOBI RAIL is high temperature weighing sensor could able to withstand and accurately weigh up to 200 degree Celsius. The sensor can be used without water, air, oil berging for higher temp and special application. 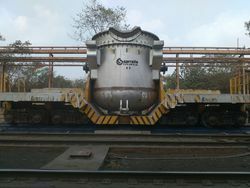 We Aditya Technologies designed and developed ready to deploy a MOBI RAIL based weighing system to weigh the Hot metal ladle car capacity up to 400 tons. The MOBI RAIL is designed to withstand high harsh environment without scarifying the accuracy of weighing, which can be fitted in the existing rail without any civil and structural modifications. Our MOBI RAIL is suitable for tough environmental conditions. The Mobil rail facilitates and accommodates various types of ladle car configuration to weigh in static and dynamic mode.Our MOBI RAIL is high temperature weighing sensor could able to withstand and accurately weigh up to 200 degree Celsius. The sensor can be used without water, air, oil berging for higher temp and special application. Billet weighing system is customized to fit in to existing roller table. No matter the system can capable to accurately record the weight of moving billet with suitable stopper arrangement and lifting for high temp hot billets. Also the system can be integrated with PLC to record the billet weight in synchronisation with PLC. We also provide the customized software application to monitor the billet production process.Fully integrated billet weighing system used to measure the hot and cold billet in static and dynamic mode. We are the stalwarts in manufacturing, supplying, wholesaling, distributing, trading, retailing and exporting Coil Weighing System. The range offered by us is manufactured using quality approved material that is procured from certified vendors of market. We offer our range in various specifications in order to cater to the variegated requirements of customers. We Aditya Technologies designed and developed ready to deploy a MOBI RAIL based weighing system to weigh the Hot metal ladle car capacity up to 400 tons. The MOBI RAILis designed to withstand high harsh environment without scarifying the accuracy of weighing, which can be fitted in the existing rail without any civil and structural modifications. 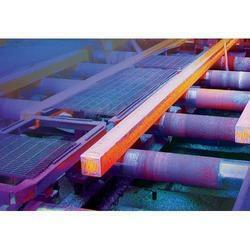 Our MOBI RAIL is suitable for tough environmental conditions. ADITYA cranes weighing system designed to record display and transmits the crane lifting load for any make and model of crane. No matter the type of crane prevent us installing such system. We conceptualize,conceive custom designed according to specific crane being used in SMS, Scrape handing, billet and finished product handling. 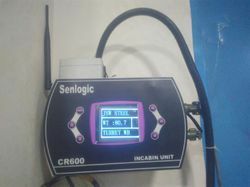 We not only provide weighing solution but also provide state of art technology incorporated in transfer of the data remotely through wireless/ GSM /GPRS MODEM/ WIFI/MESH technologies. No matter how critical the solution is Aditya team find the right solution with a great involvement in the technology design and implementation from concept to commissioning. Senlogic "STATE OF ART "wheel load weighing system can be used to balance the Rail engine, Metro Car, Rail coaches. The design specified load on individual wheel, axle, and bogie. This is the greatest tool to test and certify the perfect load balancing of the coaches. We at Senlogic initiated with great sprit to follow the " MAKE IN INDIA" the product is designed, developed, and manufactured wheel load weighing system and deployed most of the wagon manufacture around the globe. Our product is proved to the most accurate one with easy to install and user friendly application specific to the wagon weighing application. 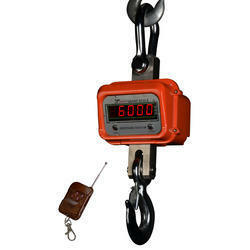 Our new concept of wagon tipper weighing system replaces the conversional load cell based wagon tipper weighing system. The new concept is breaded in the felid with our experience to overcome the problem pertaining to the structure based system which is prone to fail due to high impact and sudden drop.Our new concept is easy to install. Doesn’t require any mechanical modification on the tipper platform. Innovative SenTag wireless design allows you to remotely connect weight from harsh track environment to comfortable control room.Our wagon tipper weighing system can be installed without any modification on the existing wagon tipper table. Key Features:No Civil work Little mechanical modification required Impact load bearing capacity is high Provided with overload protection.